Feminine and fun, these beautiful 9ct White Gold Crescent Moon Sleepers Earrings are impossibly stylish. 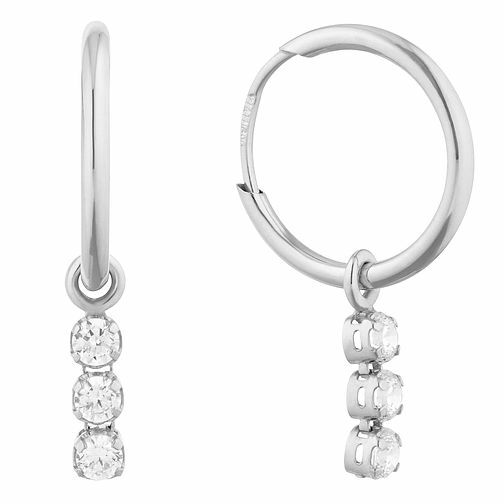 Crafted in sumptuous 9ct white gold with three drop down cubic zirconia stones. Elevate your daily look with these simply stylish stud earrings.